How do you raise your vibrations? I have always wondered how to increase my vibration and here I found a book exactly to deal with this subject-matter. It recommends that you do the 111 practices – one per day, however, as I was reviewing this book, it necessitated me doing the practices in a relatively short period of time. Kyle Gray is the young author at only 28 years of age. He has been intuitive for a long period of time. When he was 4 years old, he was visited by his grandmother’s soul. 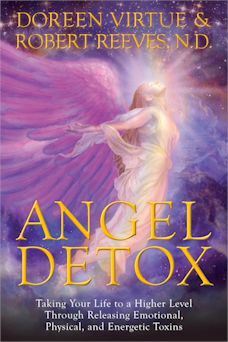 He continued to be intuitive into his teens when he developed an interest in spirituality and angels. He covers many of the main topics such as everything is energy and that God is love. He writes that what he discussed in this book is not contrary to any religious doctrine and that it can be acceptable to all people. The information is basic to becoming a lightworker who does good in society and is trying to make a positive difference in the world. Kyle Gray goes through presenting the practices or vibes according to the main seven chakras plus three others. One is the Earth Star Chakra which is found 6 to 12 inches below the feet. The second is the Soul Star Chakra which is found 6 to 12 inches above the crown or head chakra. Finally, there is the Stellar Gateway Chakra which is found 12 inches above the head chakra and with its connection to the cosmos. One of my favourite vibes is vibe number 73 which is affectionately known as Cleanse, Tone and Moisturize. It speaks of the importance of cutting or shearing off the negative chords that are connected to us and then to recognize divine light as our inner being and finally to protect ourself with a shield in a colour of our choosing. By surrounding your aura, you can protect yourself against negative influences. The first 90 practices or lessons make up the main part of the book. They are to be done one at a time on a daily basis as if you were doing A Course in Miracles. Then the next 21 vibes are affirmations that you can reflect upon also on a daily basis. Finally, the book ends off with the Declaration of a Lightworker where you sign your name to it. I recommend this book for people who are into New Age Spirituality and specifically as a good training book for Lightworkers. I give this book a rating of 4 out of 5 stars. It was released on March 29, 2016 by Hay House. You could read this book non-stop from front cover to the end but I don’t recommend it. The stories are fascinating and almost unbelievable but they are better read one story at a time. From Mystical Places to Romances of the Soul to Help from Above to The Other Side, the stories are inspiring. They tell of the mystical beings of humanity. One of the first stories that struck a chord for me is the story of “The Day the Gods were Thirsty.” A marble-stone statue of the elephant god, Ganesha was drinking milk. All over India, in fact, the statues were drinking up milk that was offered by the people. It was broadcast all over the world by CNN and the BBC. It is amazing that something like this could ever happen but apparently it did. This story is one of the amazing stories of the 101 stories presented. I would recommend this book as a nice gift to anyone who requires inspiration and hope.